300 kilometers of Green Walk, 77 km completed on Day 3 (15.11.2012), today, Day 4 (16.11.2012) Green Walkers will march on another 29 km from Maran to Kg Awah. Just in case you want to join them, here's a route map for your reference, do check out the organizer page OR the event group page for more details. The best way to inspire more people, might not be the media, there is nothing more powerful than one step at a time of a mighty ascetic, it relies on a human-to-human transmission to diffuse out the message, and also down-hearten, inspiring people along the way. An ascetic carries out by a group of people from 3 year-old to 72 year-old, it records the footsteps of the people who do not give up easily. 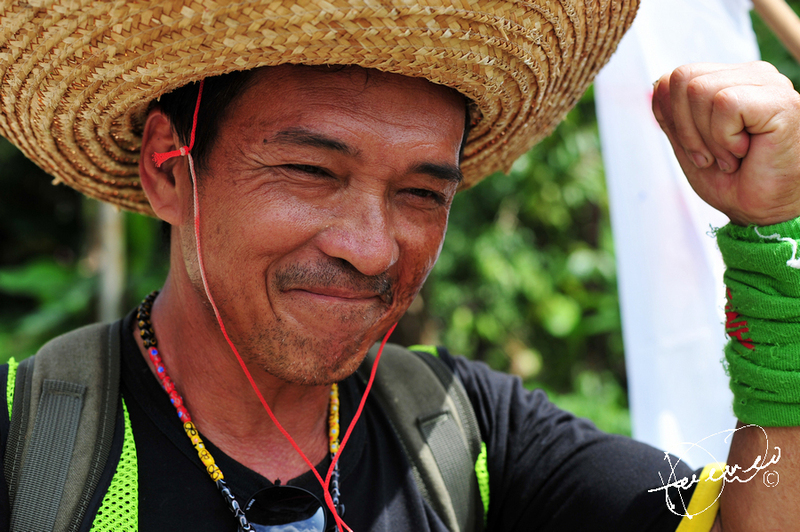 300km Green Walk, 14 days, one mission! Stop Lynas! Every step of every street along the way, my experience is deeply colored by many transient of factors- the weather, the time of days and nights, the people around me, of all walks of life regardless of races, religions and languages. 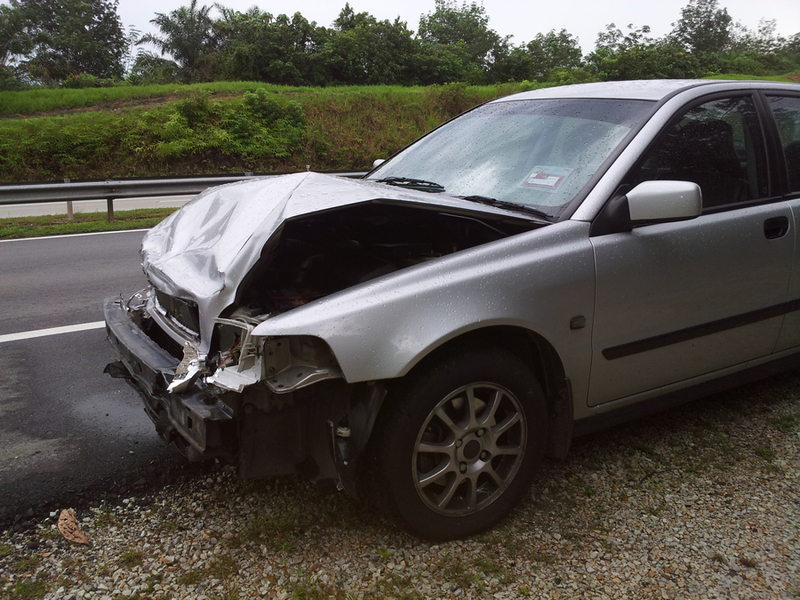 Let me tell you a story of mine, I was on my way driving from Kuala Lumpur to Kuantan to join the Day 1 Green Walk on Tuesday (13.11.2012), on the Monday (12.11.2012) evening itself, my car went out of control, it hit the road divider, spun out of control. 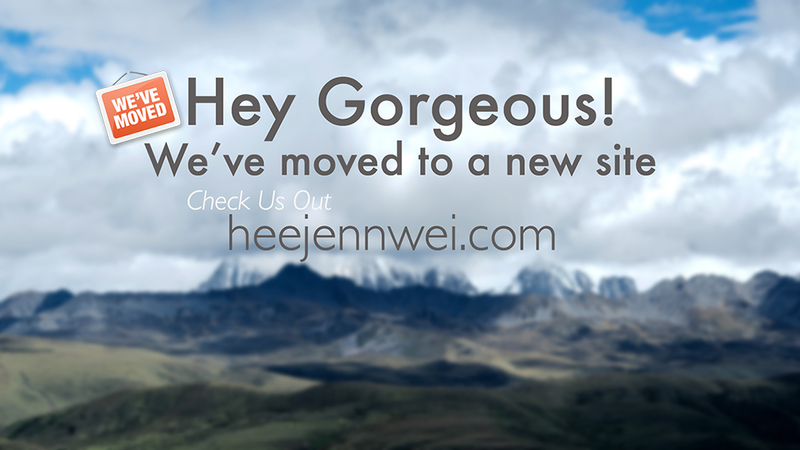 Without colliding any pass-by cars, it miraculously stop at the road shoulder. There must be a reason i escaped the near-death experience. 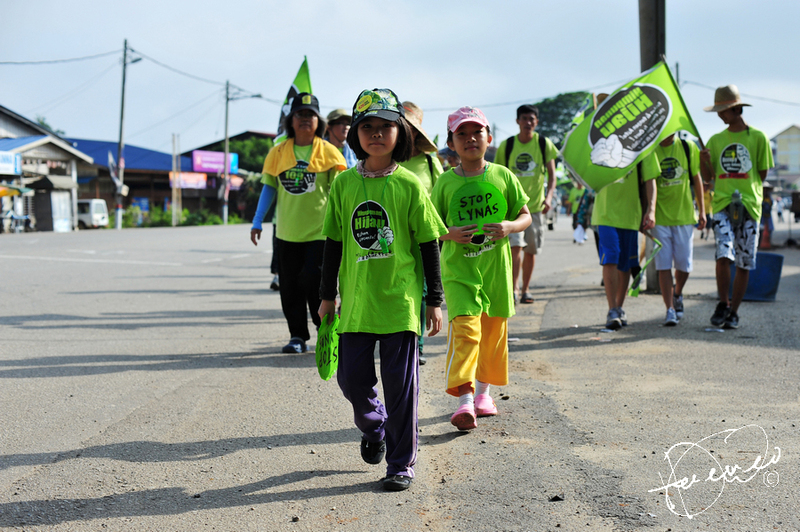 Green Walk could be one of those, to embrace the pain of life, to stand ground fight for our rights, to inspire, more people to support green walk- to stop lynas. 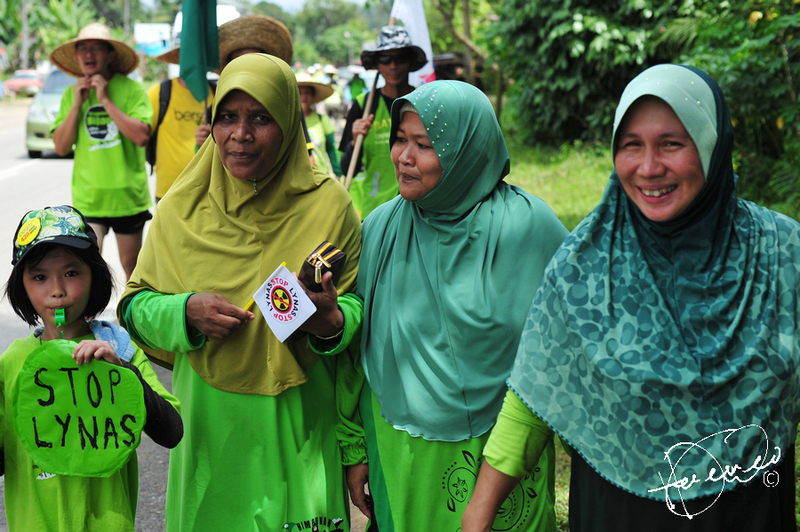 If you're unable to participate in the Green Walk from Kuantan to Parliament, do show up in Green Shirt at Dataran Merdeka on 25th November 2012 to give them support! They need the support from every single voice of yours, let them know you care! The court had decided to reject another appeal made by Kuantan residents for an interim injunction on temporary operating license given to Lynas (LAMP). I know at this point, many had stop believing, BUT you can't give up hope just because it's hopeless. You gotta hope even more, and cover your ears and go bla bla bla!!! (Phillip J. Fry) There are still groups of people that will not give up easily, and they are makeshift of 40 to 75 year-old aunties and uncles! They are merely ordinary people safeguarding a place they called "home". 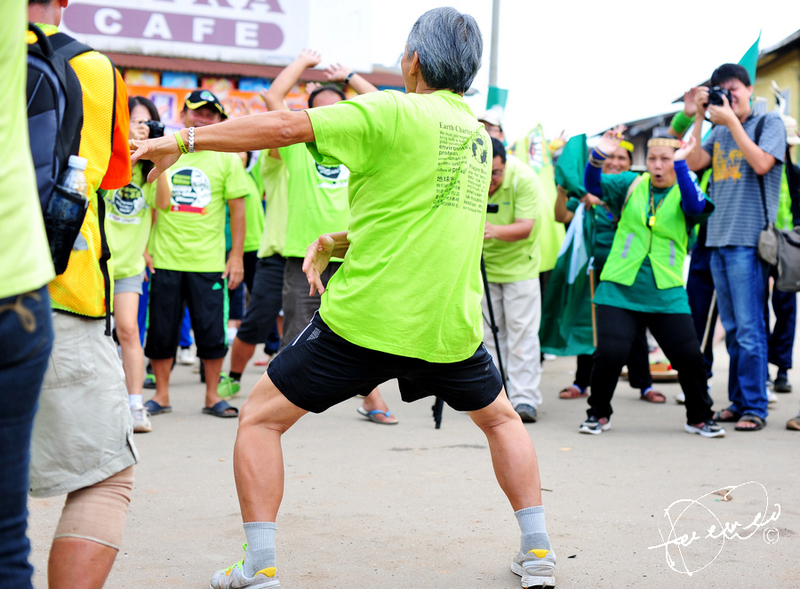 Himpunan Hijau Chairperson, Wong Tack performing "Oppa Sabah Style" to cheer up the group, look how excited our fellow Murum's Penan friend on the right! 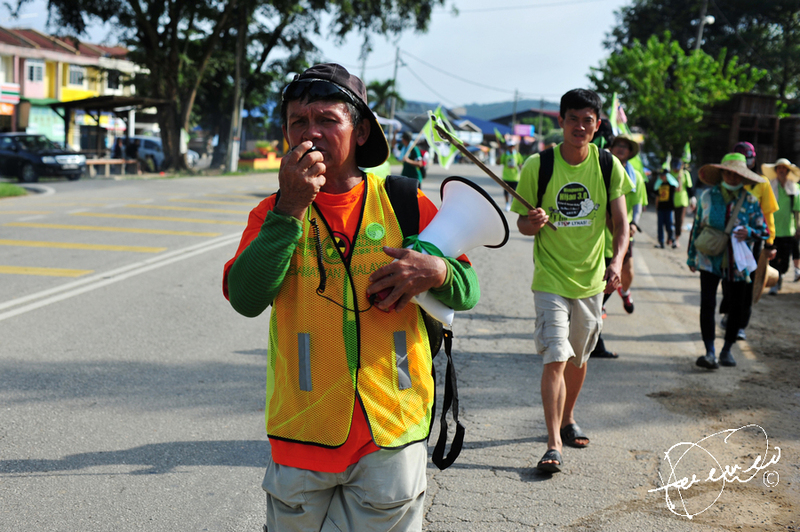 Loong, safeguarding the green walkers from pass-by vehicles, his voice to lead them to the parliament. Stop Lynas, the 7 year-old said. 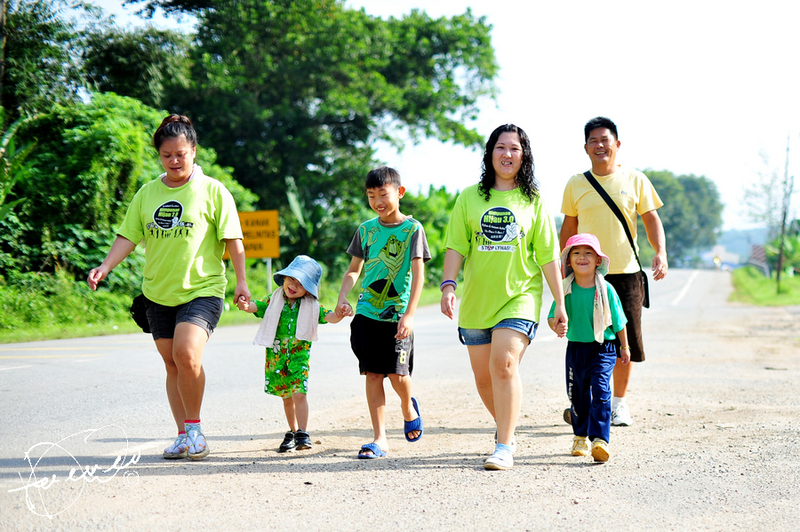 Youngest green walker of the day, a 3 year-old Desmond, enjoying his bliss. Okay, fine! i make up the name Desmond! Murum's Penan! One of the full time participants for 300km ascetic, Damn the Dams! 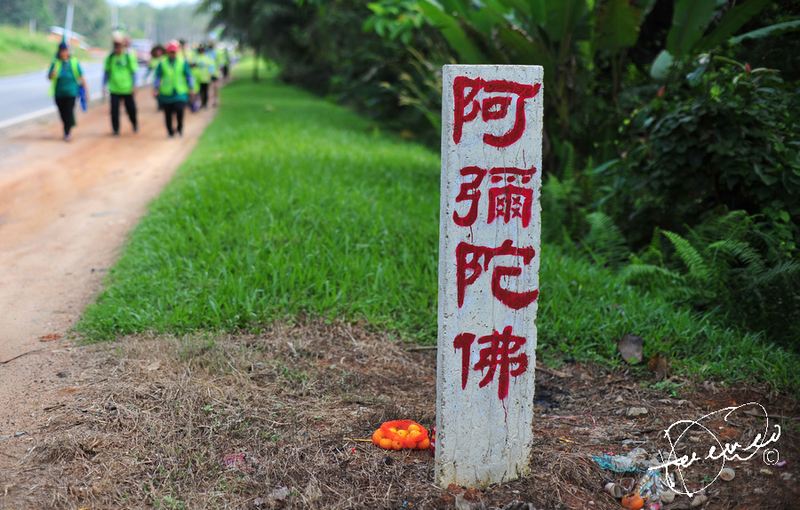 "in this glorious day of Muharram, i am grateful to be able to walk from Sri Jaya to Maran over 18km." "Dalam Hari Awal Muharram yang mulia ini, saya bersyukur kerana dapat menghabiskan perjalanan dari Sri Jaya ke Maran sepanjang 18km." 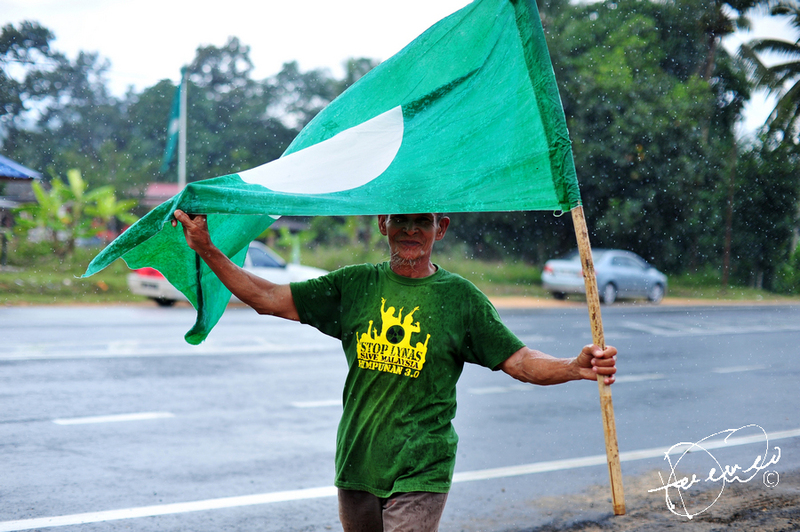 Today, your're a man, young Johnny, frolicking with a Stop Lynas flag. Okay! another make up name! Heavy downpour when Green Walkers approaching Sri Jaya- Maran 12km, Abang Osman offers shelter, foods and drinks from the rain. 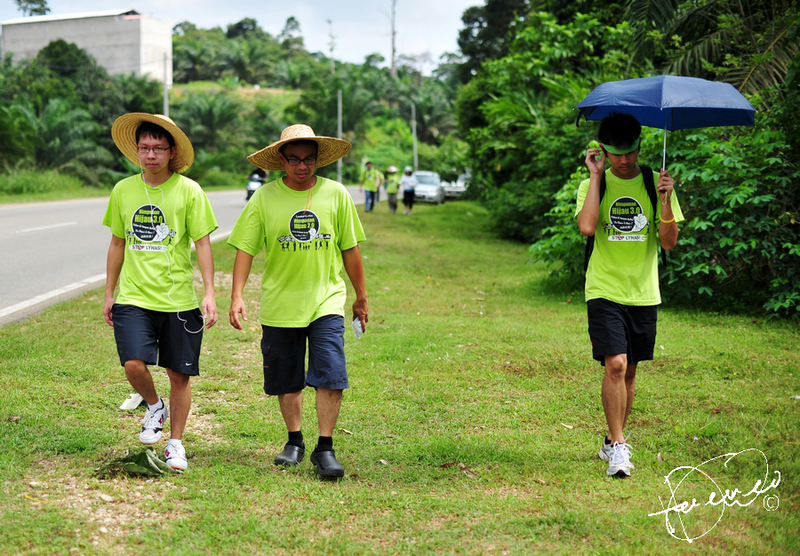 Guiding the Green Walkers to shelter. "Rain or Shine, we're in this together!" i'd like to dwell on a story of a bright young man in the middle, he is Lee Chean Chung, KEADILAN Pahang State Committee and Indera Mahkota Division Acting Chief. KEADILAN AJK MPN Pahang dan Pemangku Ketua Cabang Indera Mahkota. 人民公正党彭亨州州委与英迪拉马哥打区部代主席. 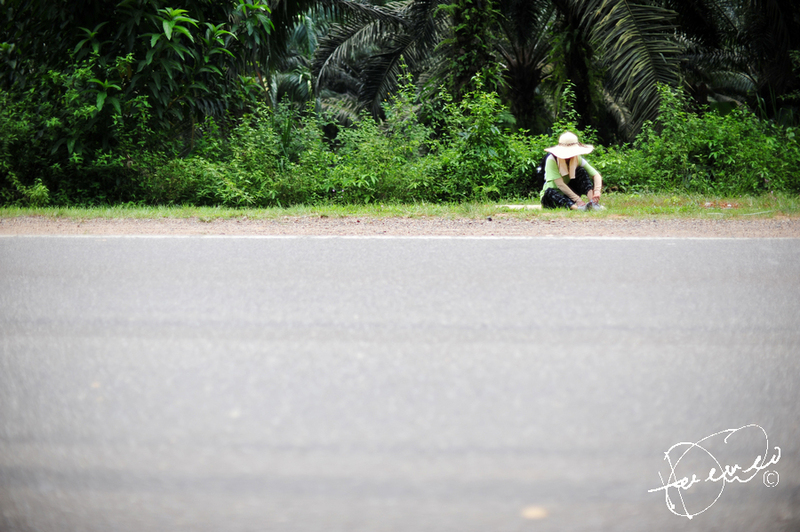 i was humbled by his presence, he is always the last one to destination, not because he's lazy or what not, he was busying collecting plastic bottles, rubbish along the way. 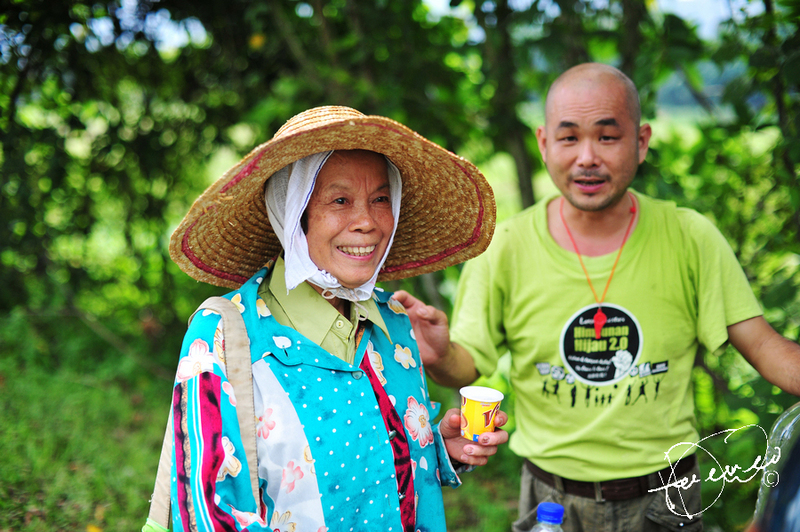 March on 71 year-old Aunty Mei! 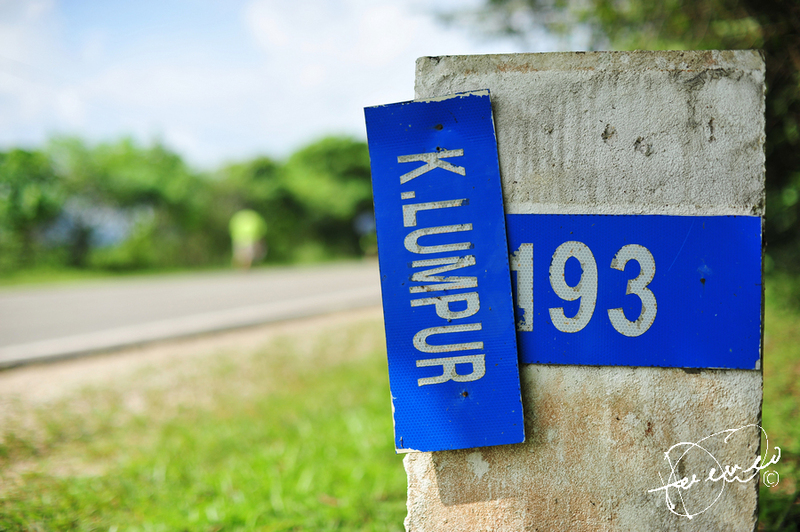 193km to Kuala Lumpur? Green Walkers nailed it! 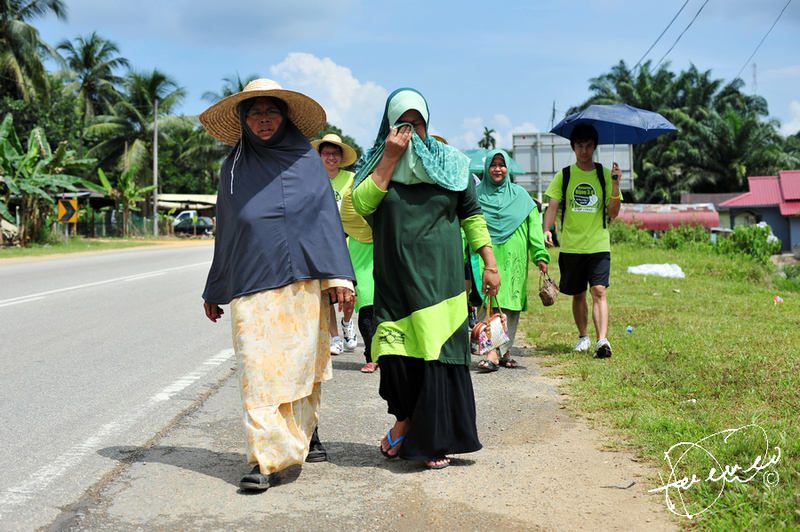 Despite having a swollen foot, lady on the left continue her walk to Maran. Lets salute to her. 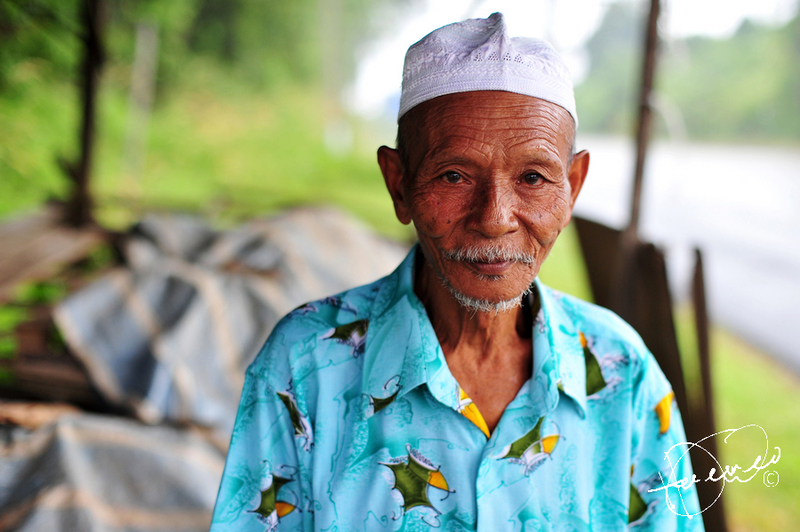 Our friend from Baram.